Tauopathy is a pathological hallmark of many neurodegenerative diseases. It is characterized by abnormal aggregates of pathological phosphotau and somatodendritic redistribution. One suggested strategy for treating tauopathy is to stimulate autophagy, hence, getting rid of these pathological protein aggregates. One key controller of autophagy is mTOR. Since stimulation of mTOR leads to inhibition of autophagy, inhibitors of mTOR will cause stimulation of autophagy process. In this report, tauopathy was induced in mice using annonacin. Blocking of mTOR was achieved through stereotaxic injection of siRNA against mTOR. 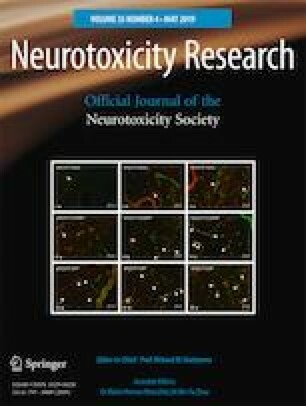 The behavioral and immunohistochemical evaluation revealed the development of tauopathy model as proven by deterioration of behavioral performance in open field test and significant tau aggregates in annonacin-treated mice. Blocking of mTOR revealed significant clearance of tau aggregates in the injected side; however, tau expression was not affected by mTOR blockage. The present work was supported by a grant from the Science and Technology Development Fund (STDF), Egypt (BARG: 13892; MS).